Mr. Hurst focuses primarily on income tax minimization strategies, including the tax aspects of business transactions, entity formation and restructuring, mergers and acquisitions, dispositions, partnerships, limited liability companies and other business combinations. He has substantial experience structuring, negotiating and documenting mergers and acquisitions; representing companies and individuals in private debt and equity transactions; and in structuring, negotiating and closing various types of business transactions and financings. He frequently advises clients on any number of business-related issues, including entity formation, corporate governance, federal and state taxation, joint ventures and strategic partnering, licensing and executive compensation. Mr. Hurst regularly represents individuals, corporations, non-profit organizations and other business entities before the Internal Revenue Service and state and local tax departments. He also serves as the firm’s international tax chair. Mr. Hurst enjoys Martindale-Hubbell Law Directory’s highest "AV" rating for lawyers. He has been selected by his peers for inclusion in The Best Lawyers in America® and the Missouri & Kansas Super Lawyers® list. 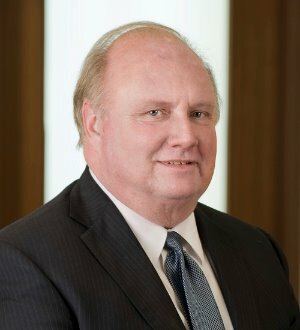 In 2011 and 2013, he was named the Wichita Tax Lawyer of the Year by The Best Lawyers in America®.